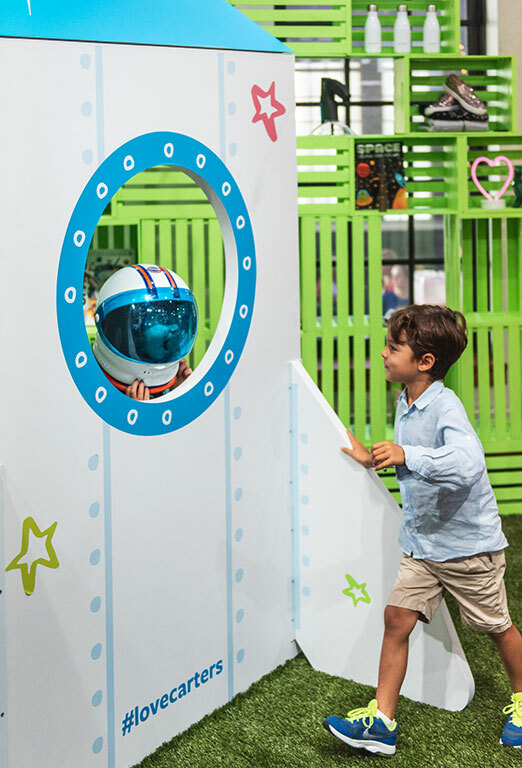 To celebrate the launch of Carter’s KID and highlight the best fall fashion trends from Carter’s + OshKosh B’gosh, we created the imaginative experience of Kid Universe. 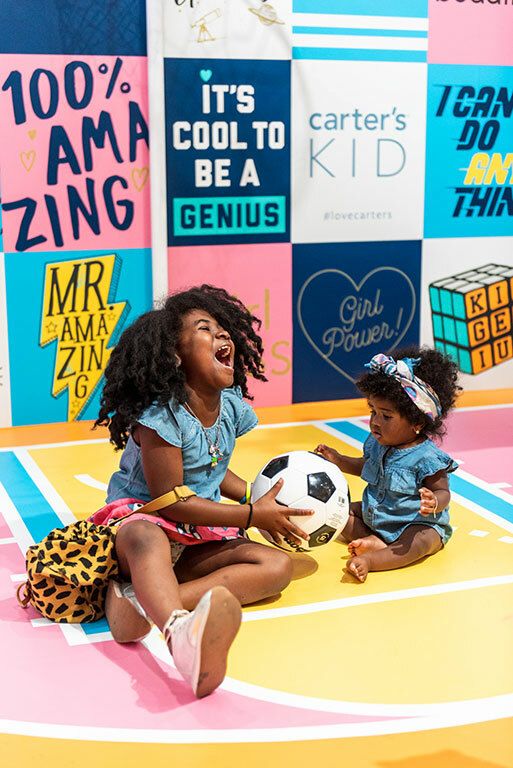 Full of playful photo moments, apparel, and accessories, Kid Universe showed influencers, press, and families that Carter’s + OshKosh is the destination for fall fashion. Each fall fashion trend was incorporated into a photo worthy vignette packed with engaging elements and activities. Whether it be outer space, sequins, camo or unicorns, every kid had their own world of Carter’s or OshKosh B’gosh to explore. The Sparkle Gallery gave guests a look at Carter’s shimmery girls’ fashion. Kid Power Galaxy Park was THE spot for slam dunks and lots of fun. Kids (and adults) proved that there’s no age limit for sporting fuzzy bunny slippers. Guests played with flip sequins and explored 3D prints in the Innovation Wonderlab.